I first became aware of this event about 5 years ago and it has intrigued me ever since. I enjoy vintage bicycles and have a few, some of which might be ideal for a ride like this. 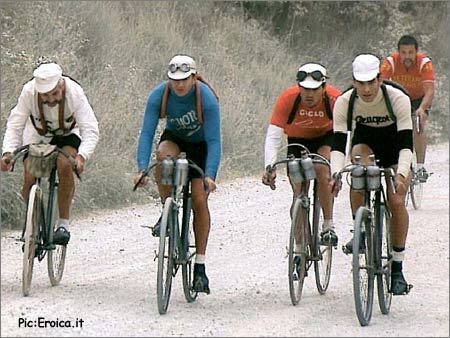 I hope to participate in L’Eroica in 2012, so I have a year to prepare a bike and gather the neccessary items such as vintage cycling gear and clothing. For more on this unique event the story continues below.